Join us for the hunt of a lifetime and test your skills on an Asian water buffalo in the dense wilderness of southern Florida. You can bring home a trophy with all your meat for a fraction of the cost of an actual Asian water buffalo hunt, yet have the same exciting experience! Our buffalo range consists of over 1,000 acres and will challenge even the most experienced hunters. Water buffalo are extremely exciting to spot and stalk and can be very aggressive. They are elusive animals that can disappear into the brush and then re-appear without warning. We will assist you in locating the herd and putting a stalk on them from a down-wind position. When buffalo are injured or surprised they can become very dangerous, so we will have multiple guides available to back you up in the event of a charge. 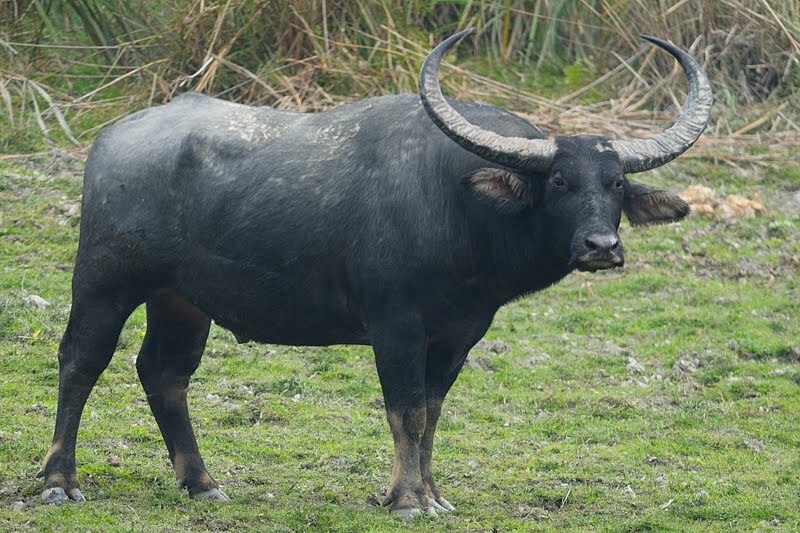 Adult water buffalo can range from 1,500 to 2,600 pounds and almost 50% of their weight is excellent meat. Buffalo is a lean meat, high in protein, with a flavor that many people prefer to beef. Our water buffalo hunting success can be attributed to several key factors. We have an actively breeding herd of buffalo living in their natural environment on our large ranch. We also have a strict management program that only allows the harvesting of the correct number of animals to keep our herd healthy. Water buffalo is a dangerous, large-game hunt, so be prepared for the chase of a lifetime! Join us for the hunt of a lifetime and test your skills on an Asian water buffalo in the dense wilderness of southern Florida. Your choice of a sport or trophy Buffalo. Have a specific look you’re wanting for the wall? Give us a call!